Betfair Ambassador and Barcelona legend Rivaldo says his old club don't need Paul Pogba, argues that Barca and Atletico are now the strongest teams in La Liga and selects a couple of bets. "Pogba is a good player but I don't think Barcelona needs him. This summer, the club have made good signings, in Arthur and Arturo Vidal, and they have a strong squad for the new season." Lately there's been speculation about Paul Pogba's future, following the Manchester United midfielder's misunderstandings with Jose Mourinho, and a potential transfer to Barcelona has been rumoured in the media. Yes, Pogba is a good player but I don't think Barcelona needs him. This summer, the club have made good signings, in Arthur and Arturo Vidal, and they have a strong squad for the new season. Losing such a quality player as Andres Iniesta could leave a gap on the middle of the pitch, but I believe Barca's new players will step up and do a good job. The club always try to bring the best players to Camp Nou and I'm pretty sure that the recent acquisitions are eager to do a great job in Iniesta's place. 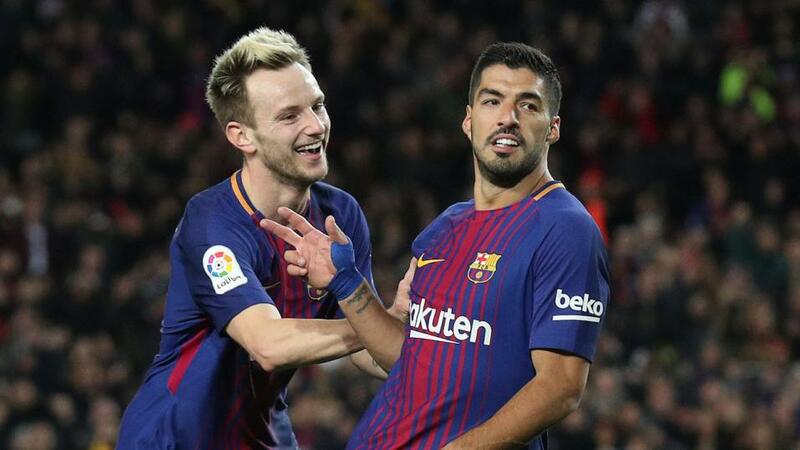 Barcelona have made a good start to the new season, beating Boca Juniors by 3-0 and winning the Spanish Super Cup against Sevilla (2-1). So I think they will comfortably beat Alavés at home on Saturday. Barca know the importance of starting well, so I don't expect any surprises in their first match of the La Liga season. It's obvious that Ronaldo's move to Juventus will have a big impact at Santiago Bernabeu, as he was prolific and key to Real's success season after season. He worked well with Zinedine Zidane who has also left the club. For that reason, I think Real Madrid are planning for their future. Of course, it would be helpful for them if they can win piece of silverware this season but even if they don't win anything, I suspect their fans won't create too much pressure, after so much joy in the last few years. The club's objective is to find another Ronaldo. Young talented players, like Vinicius Junior, are coming through at Madrid and should get their chance now. Despite Ronaldo's quality, he is 33 now and this probably was the right moment for both parties to break apart. In one or two years, they wouldn't have got such a big fee for Ronaldo. So Real have made some money while their rivals have invested in new players. After Real's astonishing success in the past three seasons, they can afford to take some risks. Ronaldo had nothing left to achieve at Madrid, however I think he could still achieve great things at Juventus. Gareth Bale is a great player who has probably had less opportunities than he deserved at Madrid. Now his moment may have come. He should be part of the starting 11 regularly and has the chance to prove his real value. I really like Bale as a player and no one can forget his magnificent bicycle-kick goal in the Champions League final last season. This is his moment and he must take advantage of that. I expect many difficulties for Real Madrid throughout the season but not in this first week when they host Getafe on Sunday night. I expect an easy win, even coming from a loss against their city rivals at the Super Cup. For me, Diego Simeone is currently the best manager in Europe and I think his Atletico Madrid are ready for another excellent season. They certainly started very well earlier this week, beating their city rivals at UEFA Super Cup. Atletico probably won't be at their best yet, following some of their key players' performances at the World Cup, and they have a tough start to La Liga at Valencia. While Barca and Real should have comfortable starts, Atleti will need to work hard to get three points this weekend. With confidence flowing, following that Super Cup win against Real, I believe Atletico will find a way to grab a good result at Nuevo Mestalla. Chelsea and Arsenal are rebuilding under new managers Maurizio Sarri and Unai Emery respectively. Chelsea got off to a winning start last week, while Arsenal were beaten by Manchester City, but I expect the match at Stamford Bridge on Saturday evening to be a fairly even contest. In fact, I think both teams will play with caution and I'm going for a 1-1 draw. I believe that will suit both teams.